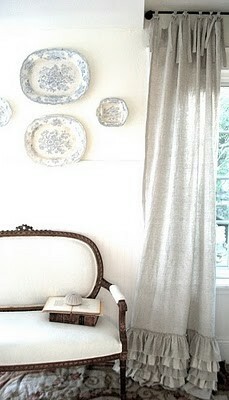 I was recently contacted by a new client about making some curtains for her home. She wanted to meet about doing something for her living room. "Do you make curtains? Something with ruffles, perhaps in linen?" she asked. "Why, yes I do," I replied, my heart beginning to race. 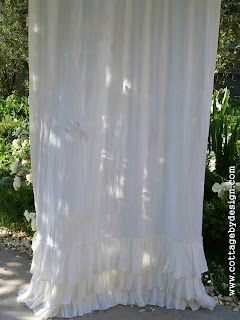 Little did she know... My favorite two words are LINEN and RUFFLES. We made an appointment for her to come to the cottage so we could look at fabrics and talk about it. Once we got together, I was able to get a feel for what she was after. We browsed some pictures for inspiration. This is the one she loved (me too). 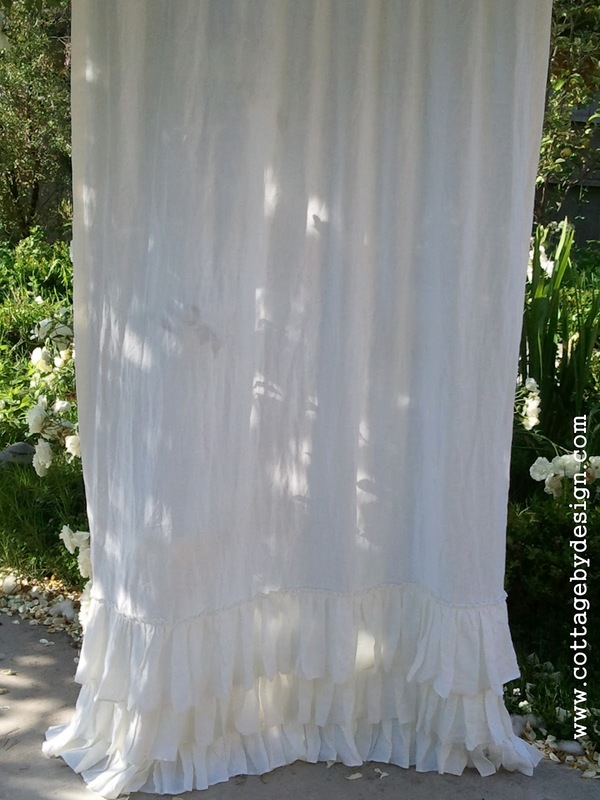 Look at the gorgeous tiers of ruffles along the bottom! Needing 4 panels total, I washed 20 yards of linen to get it prepared. 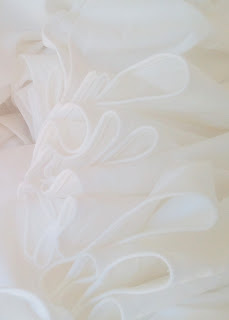 Then, my favorite, I got to spend the morning making all the ruffles. So fun! Words cannot express how happy I am with my new curtains. They are beautiful! I had the pleasure of going to Trish's house and I felt like I was visiting a cottage in the English Countryside. She has piles and piles of gorgeous fabrics. She is so incredibly talented and shabby chic oozes out of her pores...her excitement for sewing and creating is simply contagious. Her finishing and detail work is incredible and I can't wait to work with her again. Thanks Trish...every time I look at my windows it puts a big smile on my face.